Manju from Jaipur, B.Com Graduate. RECRUITMENT INDUCTION JOINING FORMALITIES LEAVE/ATTENDANCE STATUTORY COMPLIANCE.. HANDLING GREVIANCE.. ADMINISTRATION. DR.. COORDINATION FOR EV..
are one of expert skill area's of Manju . 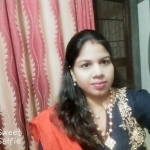 Manju is working in Human Resources industry.